Geoffrey Atzbach, P.C., bankruptcy attorney in Colorado Springs, has been successfully representing clients with financial problems in Chapter 7 and Chapter 13 business and personal bankruptcy proceedings. 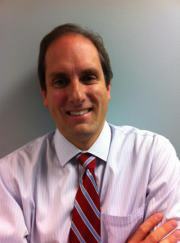 Geoffrey Atzbach, P.C. has the experience and knowledge to offer clients superior bankruptcy representation. We are up to date on the new bankruptcy laws enacted recently, and we know how to apply it to your bankruptcy case in the most advantageous way possible. Contact Geoffrey Atzbach, P.C. to help you find the solutions to your problems. We have nearly 19 years of experience in bankruptcy law, and can help solve your bankruptcy case.